Thank you! Reed Nissan would like to thank everyone who turned out and showed their true love for animals by helping us reach our goal of 10,000 Pet Adoptions through the Pet Alliance of Greater Orlando. In just a few short years, we have proven that we can provide beautiful, loving homes to shelter pets in Central Florida. Our 90-Day Adopt-A-Thon has been a true success, but don’t think we’ve hit our mark and are about to stop advocating for our four-legged (and other-legged) friends. Keep an eye out here at FriendInReed.com for news and updates on how you can continue to help our pet community. Have a friend looking to make an addition to their family? Be sure to do your part and send them to Pet Alliance of Greater Orlando as we continue our support! People with pets live longer. So who’s saving whom? Our Pet Rescue Project has a long and successful history of providing care, support and advocacy for our four-legged friends. Partnering with the Pet Alliance of Greater Orlando, we offer ongoing support to their shelters. With your purchase of a vehicle at Reed Nissan, a portion of the sale is donated to a pet in need. Since 2014 that amount has totaled over $200,000 going toward projects like providing play yard sun shades to give comfort to the animals during our hot Florida summers and the goal of helping shelter pets find FURever homes. The 3rd Annual Reed Nissan Pet Rescue Project 90 Day Adopt-A-Thon resulted in an amazing 2,064 dogs and cats finding their FURever homes. 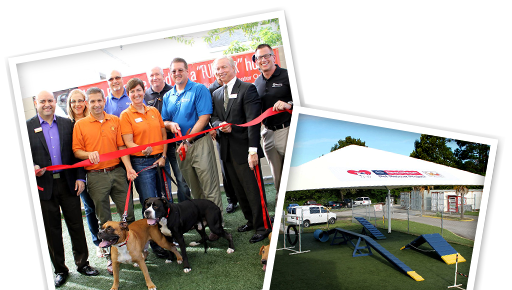 We could not be more thrilled at this achievement helping the Pet Alliance of Greater Orlando. We sincerely want to thank everyone involved with the Adopt-A-Thon, those who help behind the scenes to the wonderful families that opened their hearts and homes to an animal in need. We thank you, the Pet Alliance thanks you and so do each and every dog and cat who now has a home and loving family to call their own. But it doesn’t end with the Adopt-A-Thon and 2,000 dogs and cats! There are more pets every single day that are waiting and hoping for their FURever family. Make today the day you open your heart and home to the newest member of your family. Take a look below to see the various dogs and cats that are up for adoption. Show your love for animals and make a donation or adopt today! Hundreds of Dogs and Cats still need your help finding their Home for the Holidays. Take a look and see just how great shelter dogs and cats can be. See what amazing things happen when rescue dogs take over Reed Nissan.